Deforestation is widely assumed to be about 20% of emissions in the last couple of decades, but recent calculations show it is more like 12% of emissions for 2008). Deforestation is counteracted to a large degree by reforestation, afforestation, and the growth of plants in the deforested areas. These new plants are consumers of CO2 from the air. Despite deforestation in places like the Amazon and southeast Asia, the total amount of plant growth on the planet increased by 6% over 1982 – 1999 (from NASA satellite observations, page 19 here). By 1500 Europe had cleared nearly all its forests, then switched to charcoal then coal for fuel. 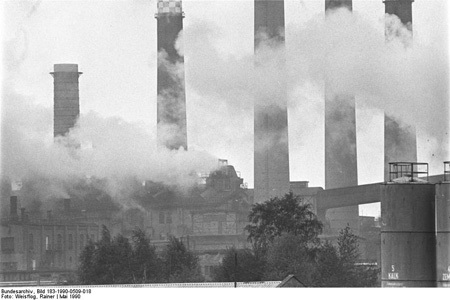 The world fossil-fuel emissions in 1751 were negligible on DOE figures—so the coal consumption in Europe and the deforestation it replaced were both small compared to today’s emission rates. Global deforestation sharply accelerated around 1852, roughly in parallel with fossil fuel use (fossil fuels make deforestation much faster). This suggests that deforestation might have been roughly proportional to fossil fuel use or availability. No one knows what the net effect of deforestation, reforestation, afforestation, and any replacement plants are, even today, let alone in the distant past. It is not even clear what ought to count as a “forest emission due to humans”, especially when forest and agricultural products are accounted for. In any case, they don’t add more than few percent to the DOE emissions figures. Figure 21: Comparison of temperature with human emissions of carbon dioxide. Human emissions were negligible before 1850, so how could they have caused the global warming from 1700 to 1850? Source: Temperature as per Figure 17, emissions see text. 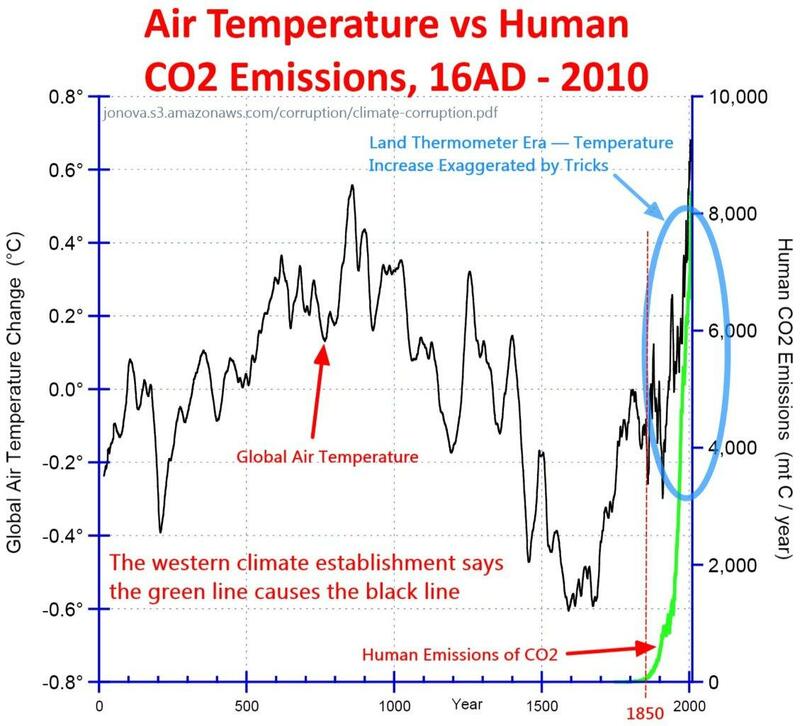 The current global warming trend started before 1700, yet human CO2 emissions were negligible before 1850. So the theory that humans started the recent global warming is absurd and obviously wrong. 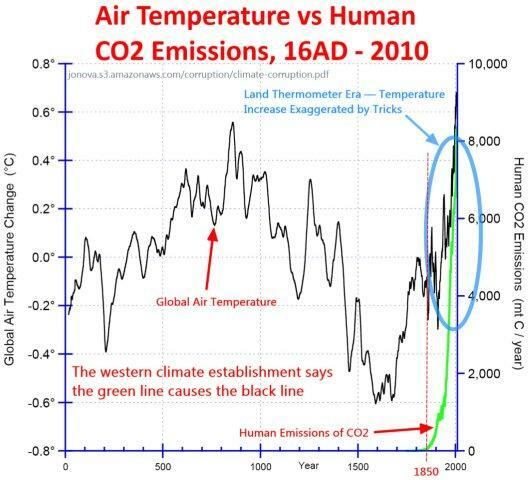 Have you ever seen a graph of human CO2 emissions versus temperature (the alleged cause and effect) anywhere in the media or from the climate establishment? Why not? 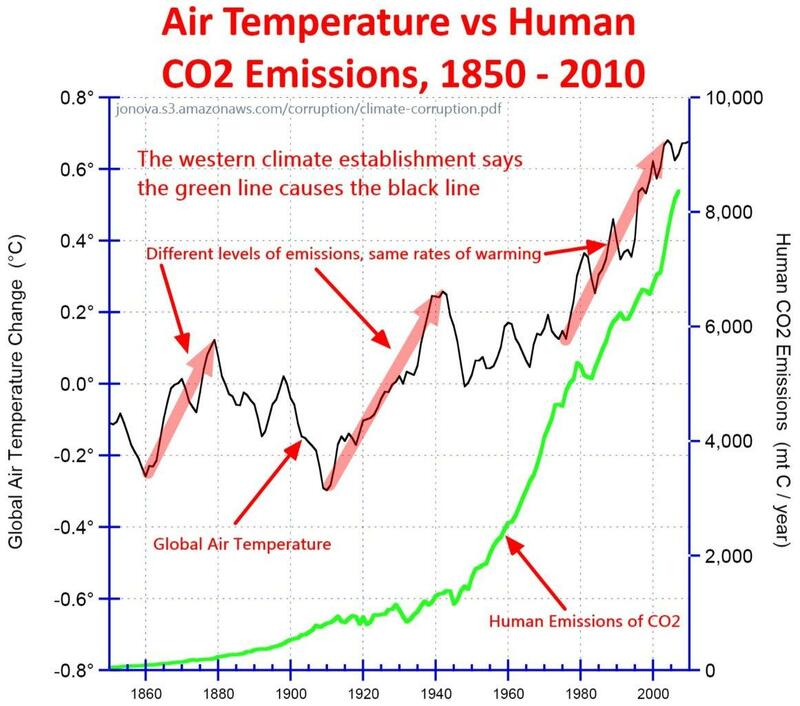 Why do the climate establishment and mainstream media instead show us graphs of atmospheric CO2 levels versus temperature? Isn’t this misdirection to disguise the almost complete non-correlation between our emissions and the temperature? Figure 22: Comparison of temperature with human emissions of carbon dioxide, over the period when the latter are significant. Source: As per Figure 21 (warning: the temperatures from 1850 to 1980 are suspect because they come from land-thermometers). “are similar and not statistically significantly different from each other”. The rates of warming during the warming periods are the same. We know theoretically that CO2 emissions must cause some warming, but that warming does not appear to be large enough to show up in a comparison with temperature.